How cute are these cone trees with cut out hearts. 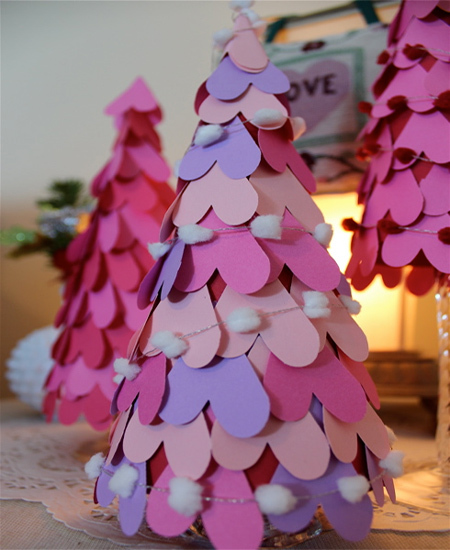 I gotta create made cardboard cones and then hot glued hearts onto the tree. 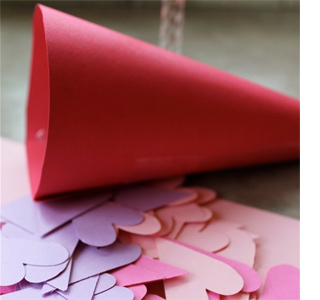 Get yourself some coloured card in shades of pink and lilac to make this Valentine's day cone tree. 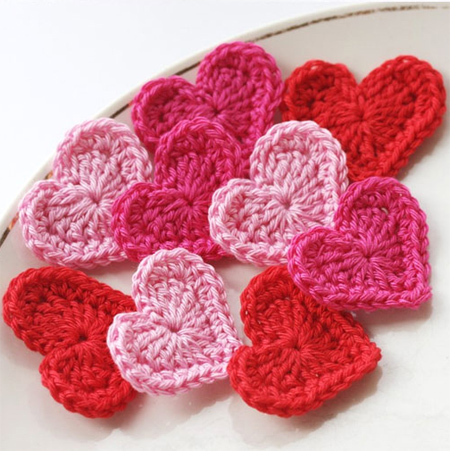 Here's a teacher appreciation gift that the kids can make. 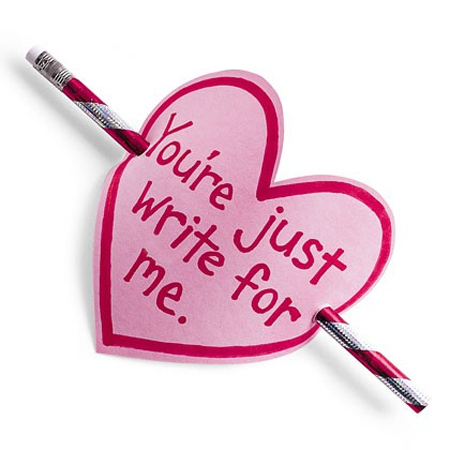 Cut out a cardboard heart and use a coloured marker to write your Valentine's message. Punch a hole at either side of the cardboard heart and insert a pencil. Aaaaaawh...! 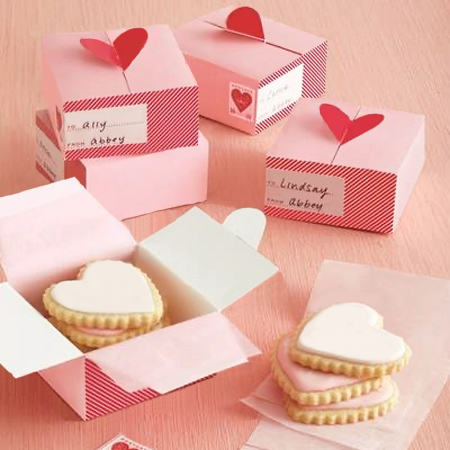 Almost everyone loves cookies and you can quickly whip up a batch of heart-shaped cookies for friends you love. 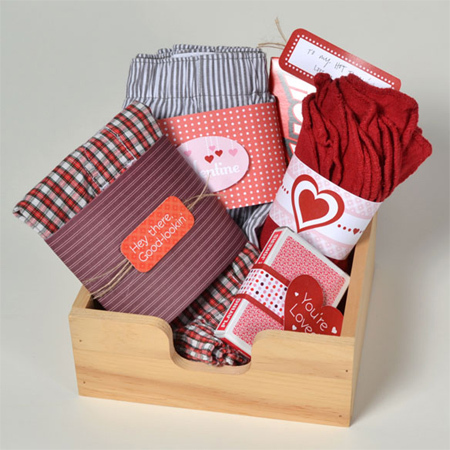 But don't stop there... you can even make your own Valentine's day gift boxes. Now that really says I love you...! 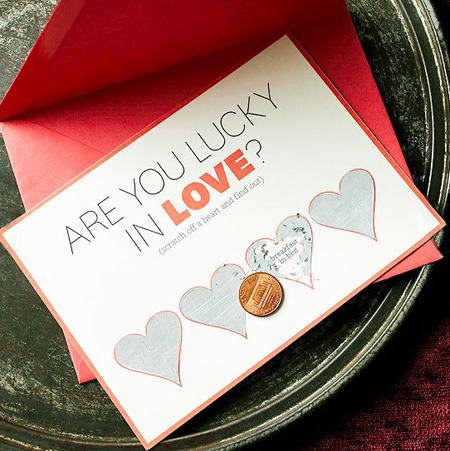 My boys love this Valentine's idea that I found on bhg.com. 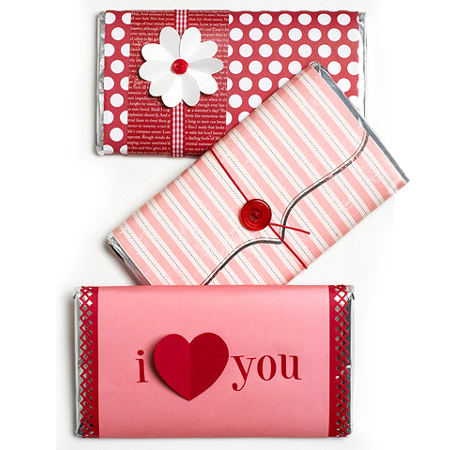 Remove the wrapper from your loved ones favourite chocolate bar and print out your own wrapper. It's a card and a gift all-in-one. And girls, you can give your guy a pair of his favourite jocks... all nicely wrapped in a special packaging. 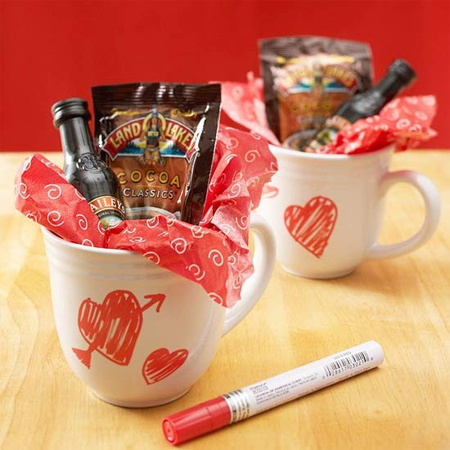 If you get stuck on a gift for him, grab a ceramic marker to write on a white mug and then fill the mug with some of his favourite goodies. Or what about giving the love of your life a book of coupons or a scratch card to be redeemed at his leisure. I'll leave what you put on the coupons or card up to you...! 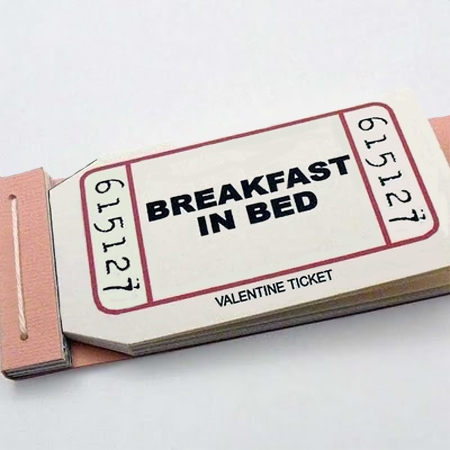 Here's a great Valentine's gift for him or her. 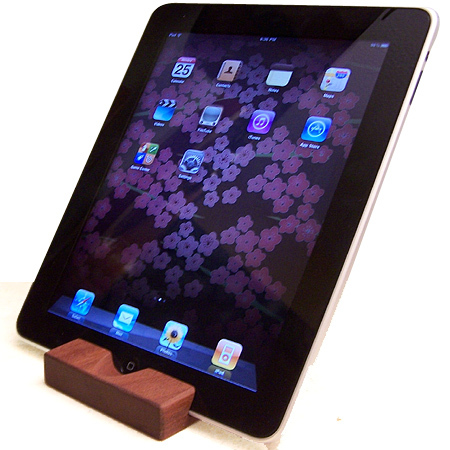 This iPad stand won't take long to make out of a small block of Meranti or Saligna, and won't cost a fortune. 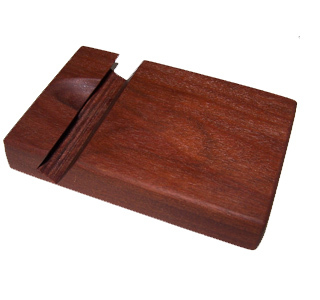 Use a Dremel Saw Max or Multitool to cut out the slot and sand the front notch with a Dremel Multitool and sanding ring. 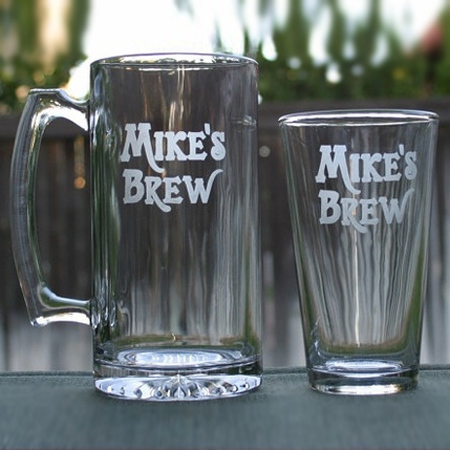 Use a Dremel Multitool and engraving bit to engrave on glass, or buy Armour Etch etching paste to create your own design. 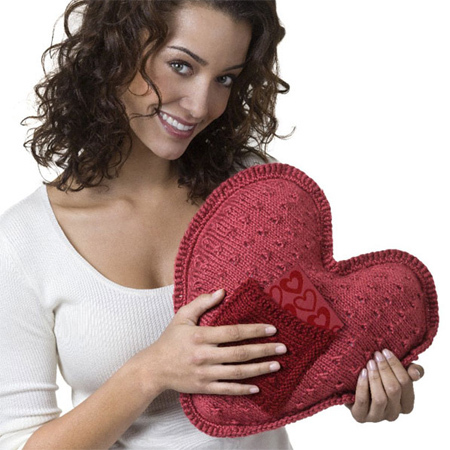 For all you crafty knitters or crochet fans out there... you'll love this heart-shaped cushion with flap for Valentine's card and you will find plenty of tutorials on the Internet and YouTube to make your own.